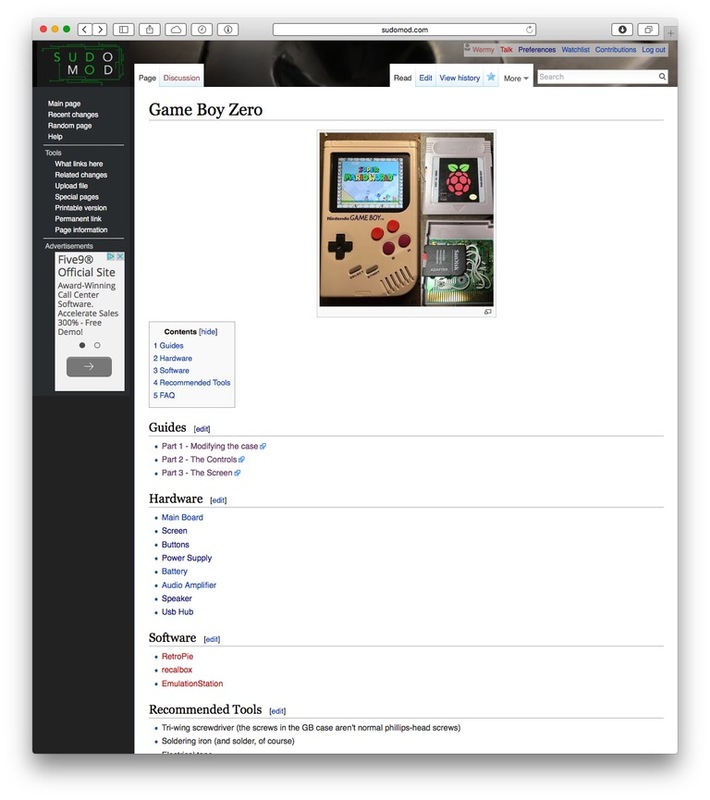 I had been trying to keep track of lists of alternate parts for the Game Boy Zero (mainly the screen), and so had a couple other forum users, and it was starting to get a little too spread out and hard to find. So I set up a wiki! It’s a little sparse right now but people are already jumping in and adding alternate screens you can use, along with what you need to modify on those screens to make them work. If you want to contribute, you can log in with your forum credentials (so you’ll need to make sure to register there first) and add/edit lists of alternate parts and that sort of thing. I’ll be adding all future projects to it as well, so this should be a great resource for anyone wanting to follow along!